Group Classes are challenging, energizing, and a powerful way to connect with a community of peers who share your drive to feel better, move better, and get leaner! 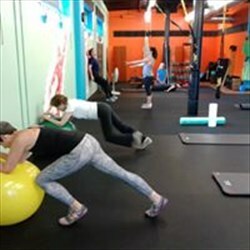 Make muscle, make friends, and build your health from the inside out at CustomFit Center, Savannah's Un-Gym!Group Fitness Classes at 100% NuBarter - 10 Class Pass - 10 classes within 8 weeksClasses are 45 minutes offering TRX, Strength, Cardio, Yoga (60 min), Max-Mix with Core -- utilizing a challenging variety of tools and techniques to torch calories and fire up your muscles! See web for more details.Why CustomFit CenterBecause your goal is to be lean, fit, and healthy for the long haul, not just temporarily. Because you know you need a program that fits your goals, schedule, budget, AND is fun and challenging all at the same time.At CustomFit, THE DOOR IS OPEN. No need to sign up for elaborate memberships! Just walk in and take a GROUP CLASS. 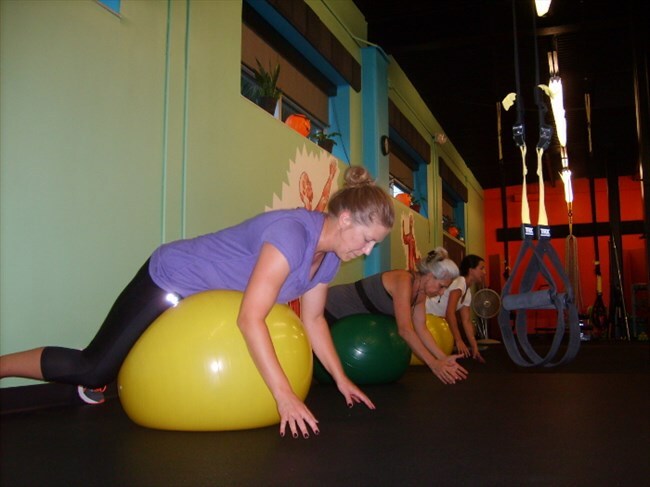 Try TRX, Max-Strength, Yoga, or one of the other group classes that strikes your fancy. Your friendly trainer will interact with you to learn your strengths, and customize each exercise to best suit your specific needs. In no time, your journey to fitness and well-being will begin.